After a divorce, the next step is to divide the community property of the former spouses. For most people, this involves a house, several vehicles, and pension and retirement accounts along with their corresponding debts. I often have clients who believe that just because they have separate checking accounts or because their cars are titled in only one name, or they have separate credit card accounts, that their community property is separate. 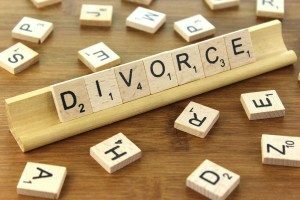 They mistakenly believe that after a divorce they should be able to walk away with everything that’s titled in their name. This may be true in common law states, but in Louisiana, that’s just not the case. In Louisiana, one of nine states that use community property law, the community of property—just like the community of persons—is established at on the date of marriage. Community property means that, in general, each spouse owns a present undivided one-half interest in the community property. That is 50% of all of the assets, and 50% of all of the debts belong to each spouse. This rule applies to spouses domiciled in Louisiana regardless of where the marriage took place and doesn’t depend on who earns more, who contributed more, or even who spent more. What if I Have a Matrimonial Agreement? This matrimonial agreement (often referred to as a prenup) can be done before or during the marriage. In Louisiana, a matrimonial agreement is usually executed by an attorney or notary public without the need to go to court. However, if the spouses wish to terminate the community during the marriage (without divorcing), the matrimonial agreement must be approved by a judge under Louisiana Law (La. C.C. Art. 2329). So, while you and your spouse may have agreed to operate your finances independently, Louisiana law sees your marital property as one community pot that must be divided equally upon termination of the marriage.